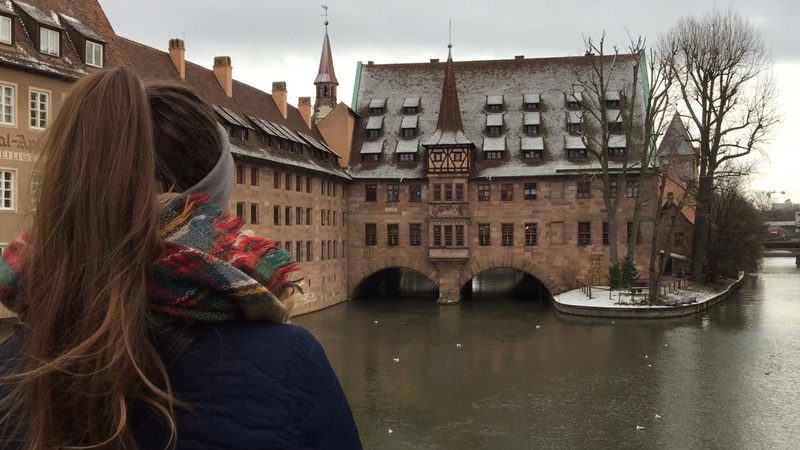 Today I would like to share with you my recent weekend trip to Nuremberg, Germany. I first want to say how incredibly grateful I am for this privilege I have that allows me to travel like this on a weekend and explore a small part of a new country. I am also so thankful to my Godparents and family for so warmingly including me in their travel plans. Exploring a new place with family that I had not seen since the beginning of term was such a fun experience. I find it truly amazing how close together all these travel destinations are to one another comparatively to Canada. Who would have ever thought that I would be having weekend getaways to such beautiful places! This is one of the incredible privileges that come with living in a European country which gives you access to cheap transportation. Now let’s get into the details of the trip. After a kind of long week of studies at Uni, Gabrielle, Victoria and I packed our backpacks and headed to the airport. When we first arrived, Gabrielle and I were pleased to see a light dusting of snow on the ground as it obviously reminded us of home. We were so excited to arrive at the hotel and connect with family. As we caught up with each other and waited for Victoria to arrive from her different flight from Manchester, I got to try a delicious German, drink which Germany is known for. The next morning we were surprised by the beautiful view from our hotel room which gave us a glimpse of the city’s architecture. 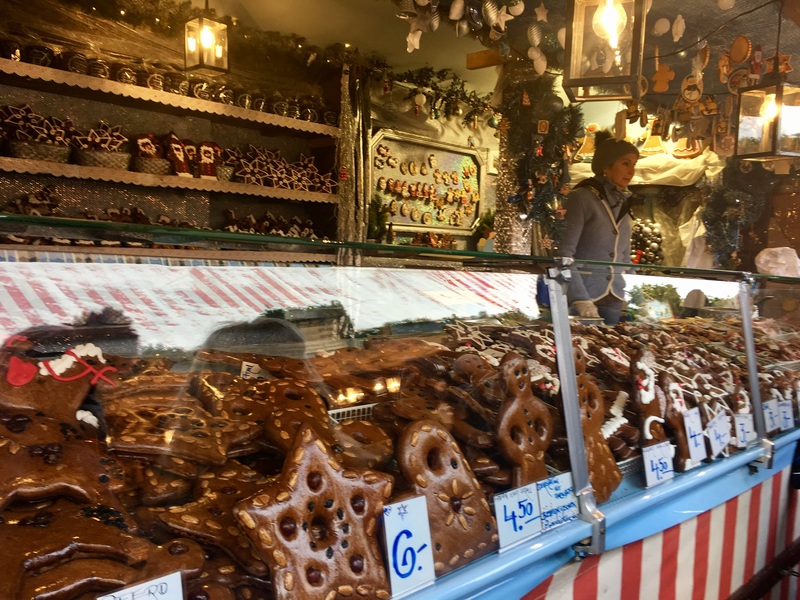 We were obviously so excited to visit he Christmas markets so we enjoyed quite a bit of our time wandering the different stalls. Situated in a square in front if The Church of Our Lady, the setting is really beautiful with the red and white stall, the fir garlands, and the twinkle lights. As the temperature was hanging around zero degrees Celsius for most of the weekend with the occasional snowfall, we tried a few different hot drink, one of which was a hot chocolate with Amaretto. Let me tell you, this drink was delicious! The Amaretto tasted like marshmallows which paired perfectly with the hot chocolate. 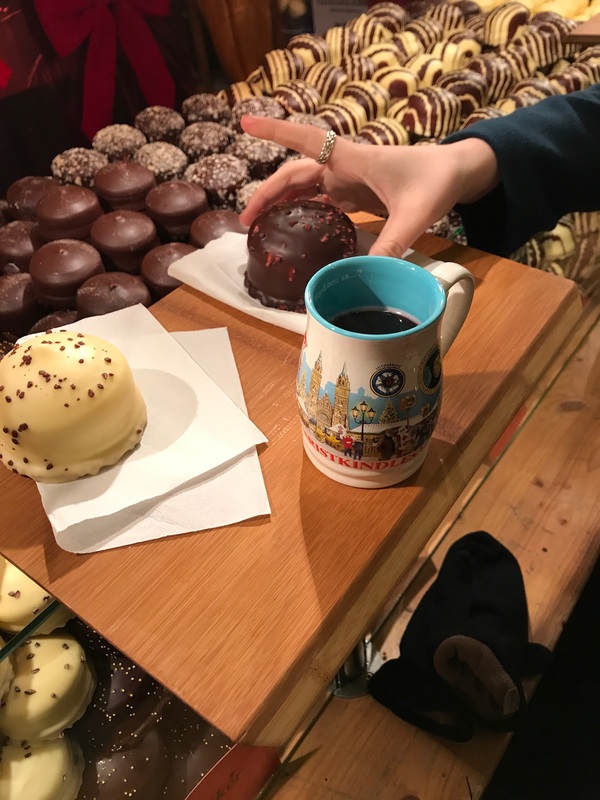 We also tried Glühwein which is hot mulled wine. This drink is also super delicious. 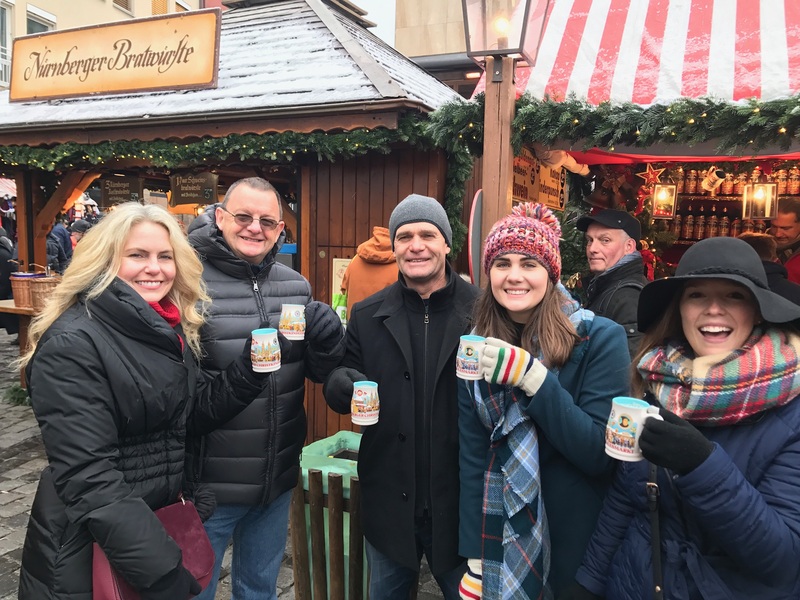 What I find so interesting and fun about buying hot drinks at German (and possibly other) Christmas markets is that you pay a deposit for the mug which you can either get back when you return the mug or you can keep the mug. Not only is this an environmentally friendly idea but it also makes for a great keepsake from your visit! 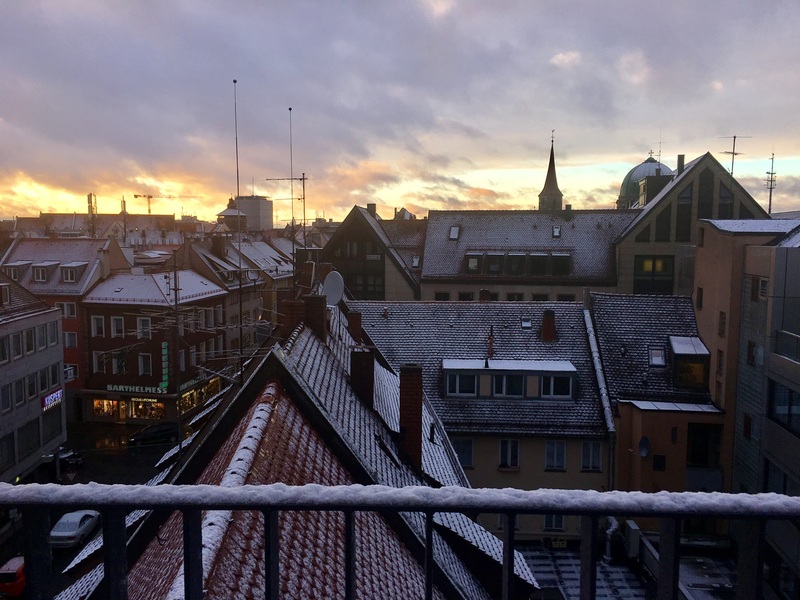 Nuremberg is a really beautiful city, especially at this time of the year. 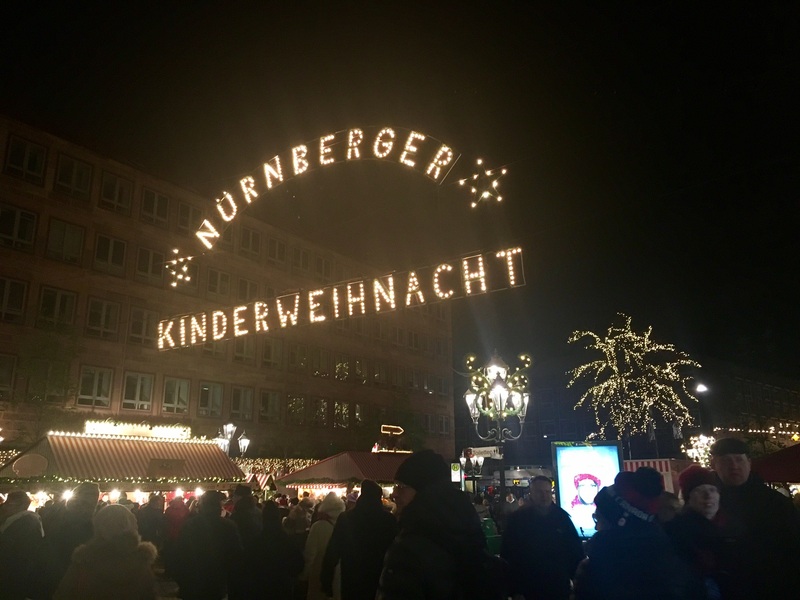 The smells, the food, the snow, in the Christkindlmarkt all make for a magical Christmas atmosphere. 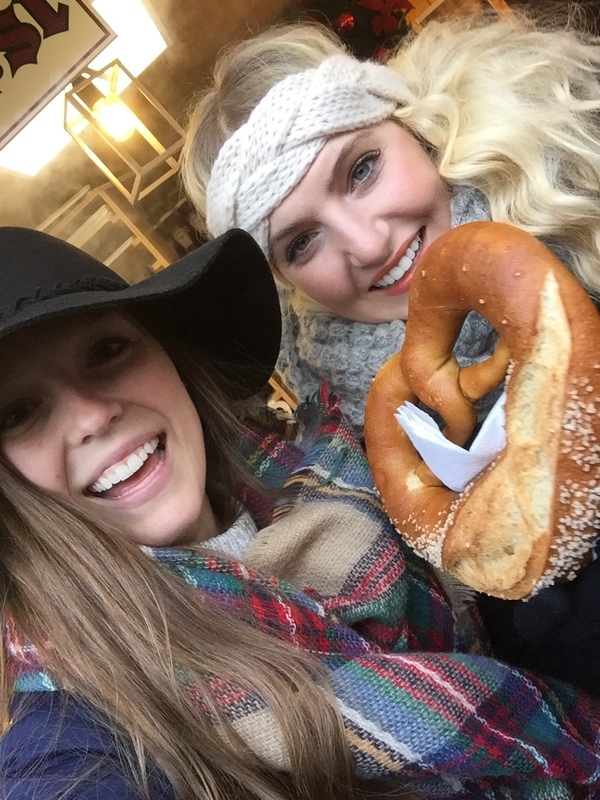 We were also so excited to try the many different foods within the Christmas market, such as the bretzels, the lebkuchen cookies, and bratwurst sausages. The market became even more magical at night when all the lights shone their brightest. 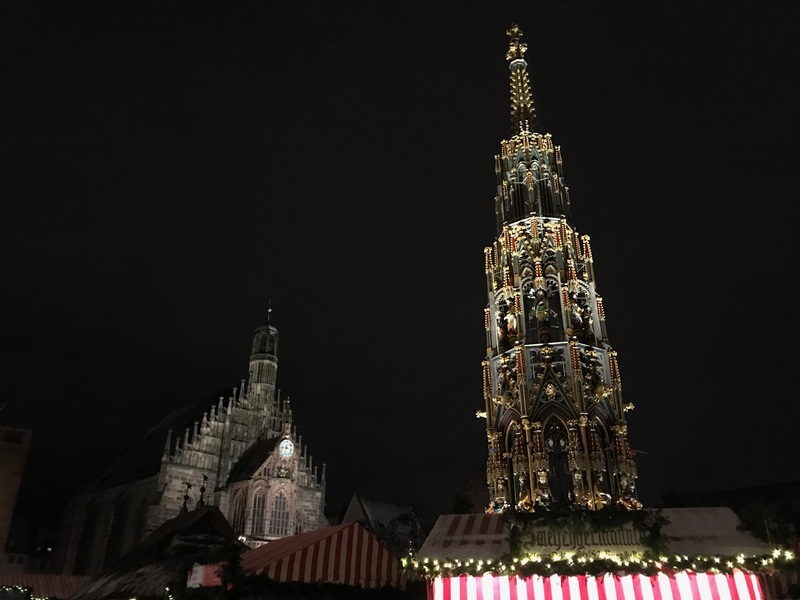 I was also pleasantly surprised that although there were probably more people in terms of numbers at this Christmas market, it felt less crowded than the Bath Christmas market which we visited the previous weekend. 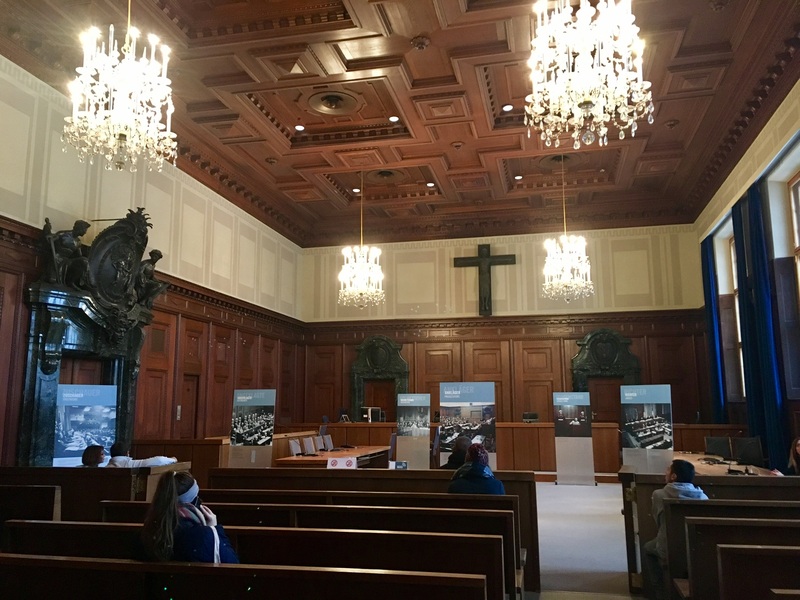 We also took the time to visit the Nazi Documentation Center and Court Room 600 where the Nuremberg trials were held. 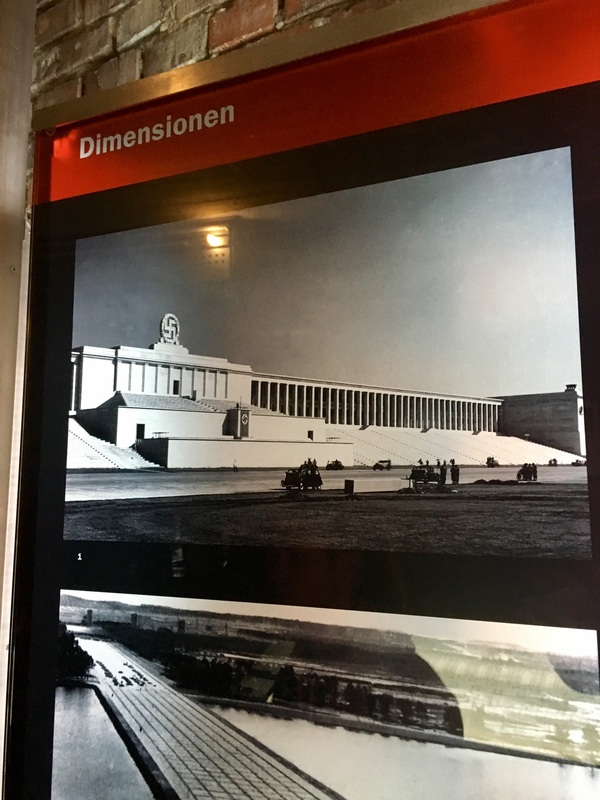 As an aspiring lawyer, this was a very important reminder of the terrors of WWII and how much progress is still needed of us in the world today. 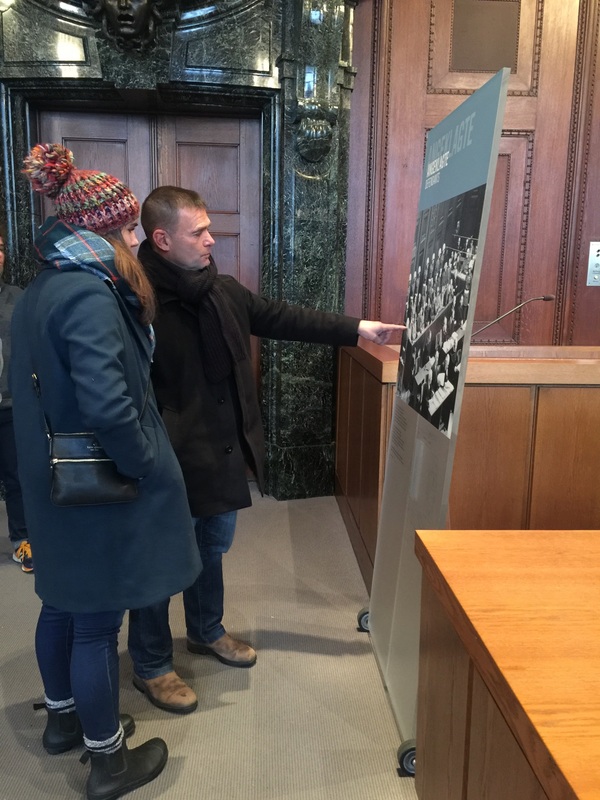 Both museums were very informative and well set-up as it takes you through expositions with audio-guides. It was a lot of information to take in, but very much important to my understanding of this part of history and for my growth as a lawyer. Hearing about the many well educated people, including lawyers and doctors, that took part in the atrocities of WWII is important in order to be critical of our own education and values, and to not close our eyes to the horrors occurring today. 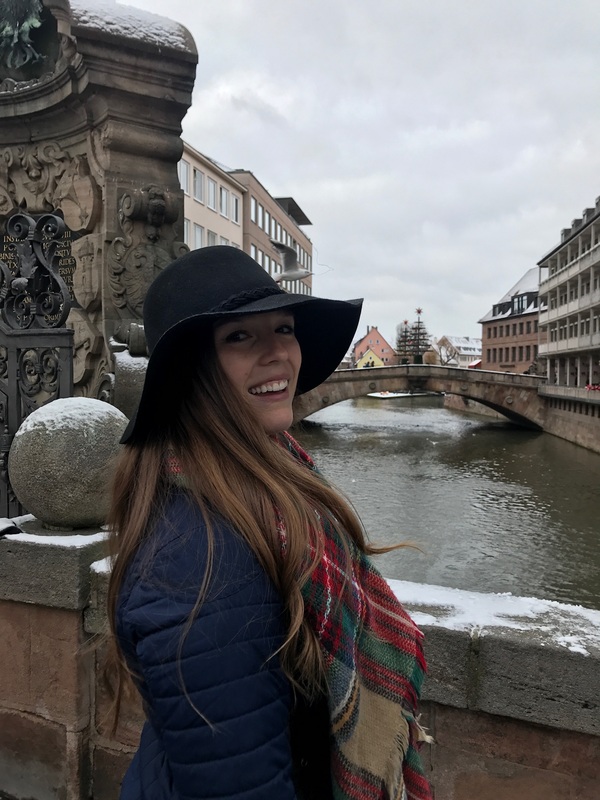 In all, I had such an amazing time on my short trip to Germany and I cannot wait to go back one day and explore more of this beautiful Country!